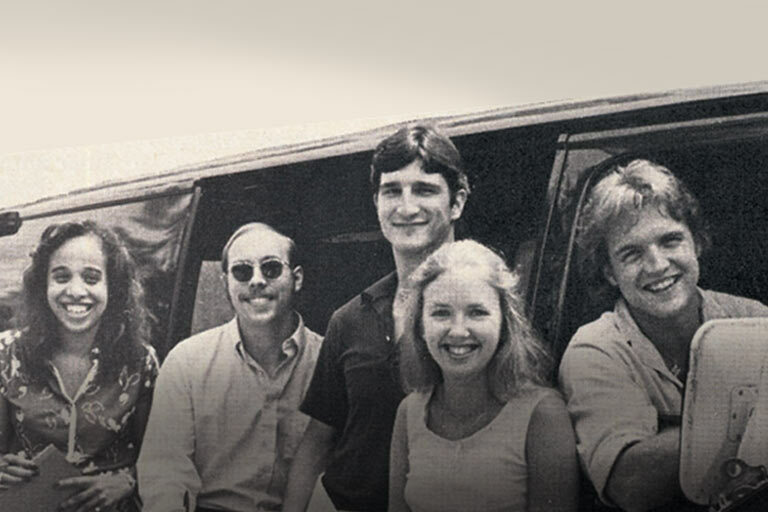 Looking to add music in tight spaces as part of your in-ceiling audio system? 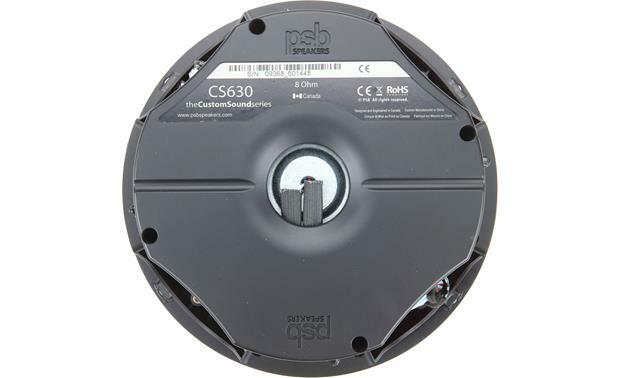 PSB's CS630 delivers both channels of a stereo signal from just one overhead location. I recommend it for your bathroom, kitchen, hallway, or anywhere else where you want high-quality stereo sound from a single hideaway speaker. Want music in a big living room or bedroom? Place a CS630 in each corner and get stereo sound no matter where you are. This speaker's clever design gives you the full song without worrying about being too close to one speaker, and too far from another. That way you aren't hearing the guitar and vocals from the left speaker, and bass and drums from the right. 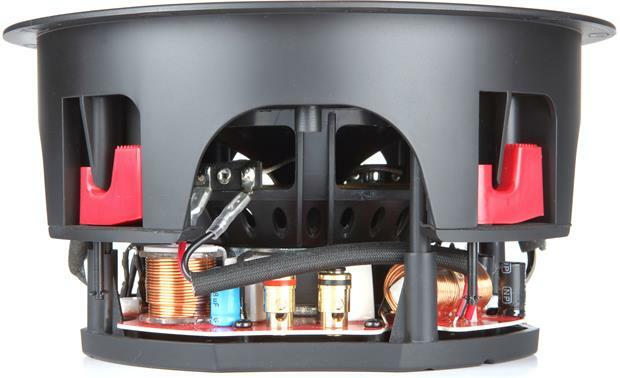 PSB's dual-tweeter design reproduces both the left and right channels of your stereo music sources with a single speaker. I love how PSB has combined detailed musical performance with a sleek design. The '630 includes both square and round magnetic grilles. Choose the one that best fits your room — it's a breeze to attach. The grilles are paintable, so you can match them to your room's decor. The zero-bezel edge means no bulk around the sides of the grille, making it virtually disappear into your ceiling. PSB's rotating-cam design makes your in-ceiling installation straightforward. Once you have the CS630 in place, simply use a screwdriver to tighten each cam for a secure grip against the back of the ceiling. If this is a do-it-yourself install, check out our guide to installing in-wall and in-ceiling speakers, along with our selection of in-wall speaker wire. Mounted these in the ceiling and driving with a Sonos Amp. As usual for PSB, excellent sound quality. I highly recommend. 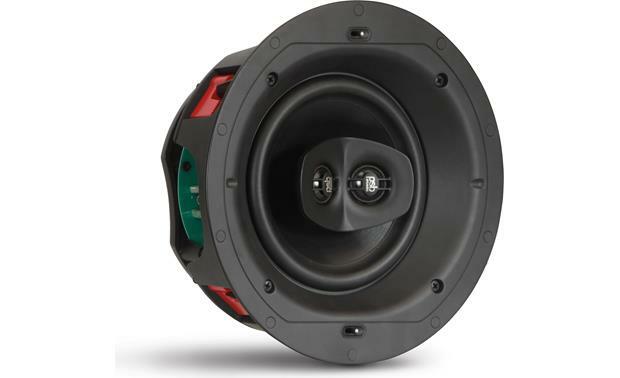 CustomSound Series: PSB's CustomSound series of high performance architectural loudspeakers offer superior stereo and home theatre sound in residential and commercial applications. 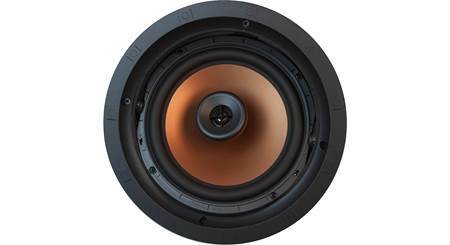 Designed inside the anechoic chamber at Canada's National Research Council, the CustomSound series speakers are engineered with PSB's unparallel driver technology and expertise. Stereo or Home Theater Applications: This versatile speaker allows stereo sound in small spaces like bathrooms and hallways, and can also be used as surround effects speakers in home theaters. Because there are two discrete channels, its can be wired as bipole, dipole, or even as surround plus surround back speakers in a 7.1 theater application. 6.5" Carbon-Filled Polypropylene Woofer: Featuring PSB's trademark carbon-filled polypropylene 6.5" woofer with rubber surround, this speaker has a warm and balanced sound with plenty of power handling thanks to the high temperature voice coil. Dual 0.75" Aluminum Dome Tweeters: Two 0.75" aluminum dome tweeters are concentrically mounted and feature a carefully engineered Wave Guides. 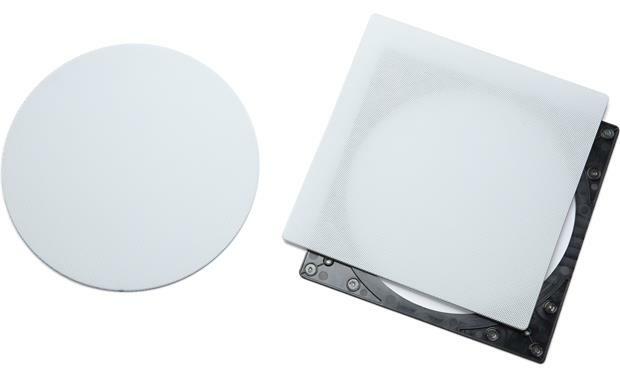 The tweeter array can be rotated after installation to get the best high frequency coverage. Tweeter & Woofer Level: Adjustment for the level of the tweeter array and woofer allow you to "dial-in" the best blend of high and low frequency response for the speaker and its acoustic environment after installation to achieve the most musical balance for every room. The tweeter and woofer level switches are located on the front of the speaker and can be set to +3dB or 0dB. 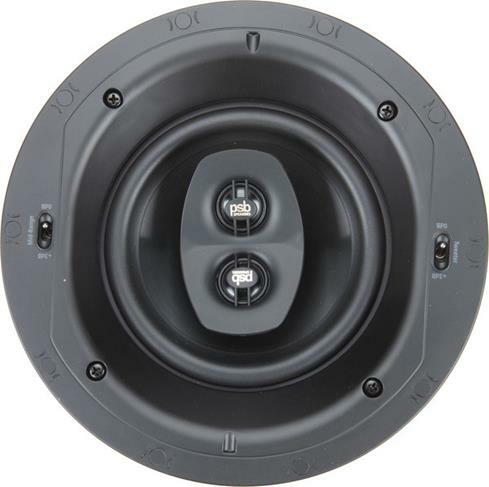 Precision Crossover Network: The PSB CustomSound series in-ceiling loudspeaker utilizes a precision crossover network between the woofer and concentrically mounted tweeter array for a smooth wide-band response. 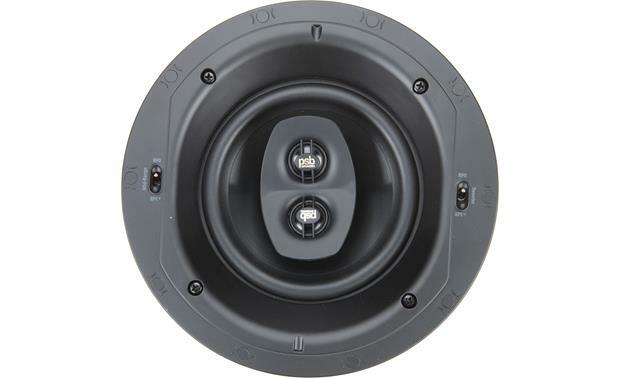 Spring-Post Terminals: The PSB CustomSound series in-ceiling speaker is outfitted with two sets of spring-post terminals to connect your speaker wire. The spring-post terminals will accept bare wire (up to 12AWG), pin-connectors, and banana-plugs (single only). In-Ceiling Installation: The CustomSound series in-ceiling loudspeaker features a slim and discrete profile that practically disappears in the room thanks to its low-profile perforated grille and frameless design, making the speaker easy to install and conceal in all types of rooms. The in-ceiling speaker employs four high strength doglegs for easy installation and removal. In part to their wide dispersion characteristics and other aspects of their superb sonic performance, mounting position in your room is very flexible. Paintable Steel Grille (Round & Square): The CustomSound series in-ceiling speaker comes with both round and square magnetic frameless grilles. The grilles use high-strength magnets for easy installation of the grilles to the speaker. The grille is constructed of painted steel and can be re-painted to match your ceiling following standard painting practices and techniques (spraying, not rolling or brushing, will yield best results). Searches related to the PSB CS630 In-ceiling stereo input speaker.